This hot and hazy summer marks The Airborne Toxic Event‘s five-year anniversary of their existence, and this coming Saturday marks the third-year anniversary of my first time seeing them. Though I’ll actually be at the Newport Folk Festival this weekend, covering this legendary event for Ryan’s Smashing Life, my band has very thoughtfully put together a string of East Coast dates, so we can properly celebrate. What’s more, they’ve just announced a big autumn tour (Orpheum Theatre, Sat 11/19!) that will see them visiting many places, including – for their first time – Anchorage, Alaska. I mean, how could you not want to see them in a place called Bear Tooth Theatre? 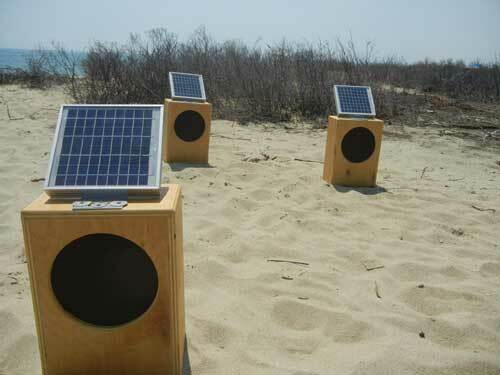 Sun Boxes vacationing at the Vineyard. The Sun Boxes will be “performing” at Artscape in Baltimore, Maryland July 15-17, and at deCordova Sculpture Park and Museum in Lincoln, Mass. on Saturday, August 6. Alec Mapes-Frances, a 16-year-old from Newton, Mass. who goes by the name of [spaceless], clearly had a lifetime in the 60s and liked it so much, he decided to come right back and have another go with some better technology. He combines synth pads, ambient samples, and tribal field recordings to create trippy, trance-inducing music. It isn’t easy for an indie band to keep going through the stresses of a small-scale self release, DIY efforts at band management and tour booking, while trying to maintain interpersonal relationships and general sanity. So it is a fortunate thing for us that The Calm Blue Sea is back together again after a 1-1/2 year hiatus. Their gorgeous, emotionally stirring 2008 debut is set to be re-released on Modern Outsider Records on August 2 (available for preorder). This reissue has been remastered and features two unreleased bonus tracks. It was recorded at Austin’s Cacophony Recorders with acclaimed engineer Erik Wofford (The Black Angels, Explosions in the Sky), and will be released digitally and on CD, and also on 12-inch vinyl. Listen to “Literal” on NPR. It starts dreamily and slowly builds into epic grandeur a la Pink Floyd or Explosions In The Sky. Elegant, explosive, and truly majestic. This is the sort of music that cries out to be seen and heard live, so it’s good news that a U.S. tour is in the works to coincide with the album’s release. There will also be a video for “Literal,” produced by Cliff Wildman of Pitch Productions and animated/directed by Paul Beck (“Waking Life”, “A Scanner Darkly”). For now, if you’re in Texas, you can see them on 7/29 at The Parish in Austin, 8/6 at The Mink in Houston, and 8/19 at Emo’s in Austin. They’ll also be performing on Austin radio station KUT (90.5FM) on 7/28. And listen to their “Siegfried” film score below. 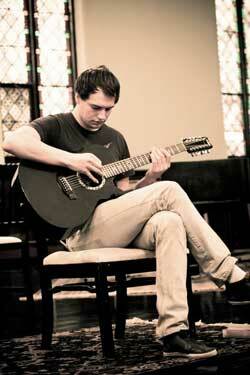 On a soft summer’s evening, luxuriate in the elegant compositions of guitarist/composer Alexander Turnquist. His instrumentation is unique – a 12-string acoustic finger-picking style that at times suggests the melodic patterns of Philip Glass, yet his harp-like strums give his music a romantic flavor. 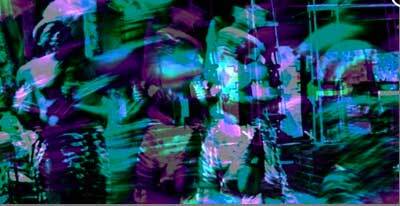 Piano, vibraphone and violin accompaniment, along with a delicate use of prepared electronics, add a glowing vibrancy. His latest album is Hallway of Mirrors (VHF Records). It has a warm, rich sound, recorded in a large room with natural reverb. His first self-release, back in 2005, was Odd Weather. 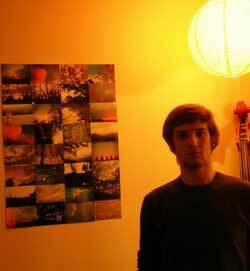 German Error Message was originally the solo home-recording project of Murfreesboro, Tennessee native Paul Kintzing, who’s been releasing intimate and personal lo-fi experimental folk since 2008. The focal point is on his soft vocals, wistful lyrics, and melodically strummed/picked banjo; quite lovely. Occasionally accompanied by friends, his most recent release is the In Comforting 2-track single, featuring backing vocals, bass and percussion. Other recordings this year include SPPLIT, a 6-song split EP with friends and collaborators The Widowers; and After The Warmth. 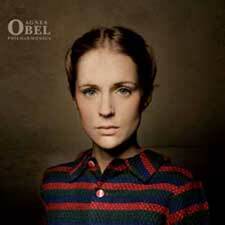 Originally from Copenhagen and now living in Berlin, Agnes Obel has a gauzy, angelic voice and pensive demeanor. There’s an interesting mix of youthful innocence and timeworn melancholy. 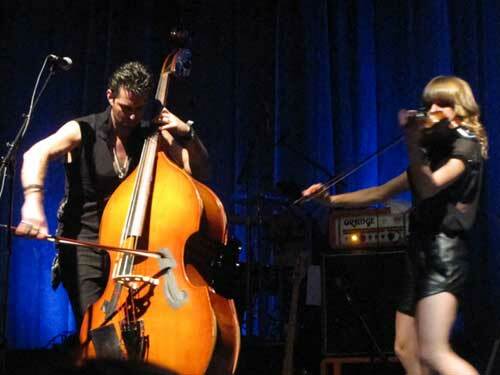 She’s complemented in a minimalist way with piano, sometimes harp, and – in live settings – by two other musicians with cello, guitar and melodica. Her debut album is Philharmonics (PIAS), and if you “Like” her on facebook, you can download her cover of John Cale’s “(I Keep A) Close Watch”. There’s also a live version of her take on Elliott Smith’s “Between The Bars” available on iTunes. Influences range from Joni Mitchell and PJ Harvey to Maurice Ravel and Eric Satie. She’s currently performing in Europe. I’m happy to report there’s a whole lot of prettiness coming your way, something perhaps for those hot summer days and cool fruity drinks. This will be the first in a series of bands that captured my ears recently, including a few curious electronic/experimental projects. 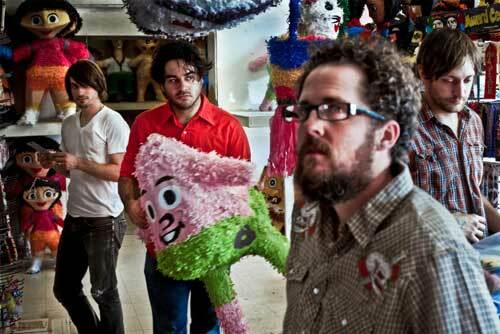 First up is some trippy warm weather fare from San Diego band The Glass Canoe. They recently released their debut album Chimera, which is full of moody and dreamy atmospherics. Especially flashback inducing is the aptly-titled “Happy”, with a waterfall of strings and layered elfen vocals. They alternate nicely between a pleasant musical ether and a purposeful driving beat, so you don’t drift too far from shore. They’ll be performing at the Cubbfest Music and Arts Festival in San Diego on July 31st. These guys are really interesting. They came together at Princeton University in 2004, made up of “orchestra dropouts and jazz band rejects”. 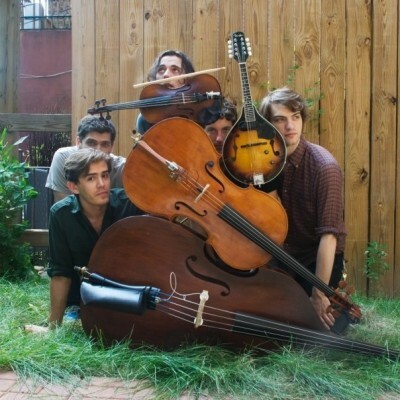 A classical ensemble with a jazz groove and indie-rock vocals and sensibility, the band features double bass, mandolin, violin, cello, and drums. No guitars. No synths. And neither is missed in their rich, expansive sound. Having reached their Kickstarter goal back in December, their album will be ready for release sometime this summer. 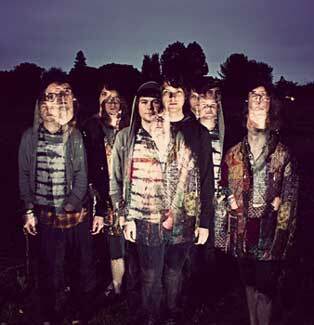 In the meantime, enjoy their debut EP and three singles on bandcamp. 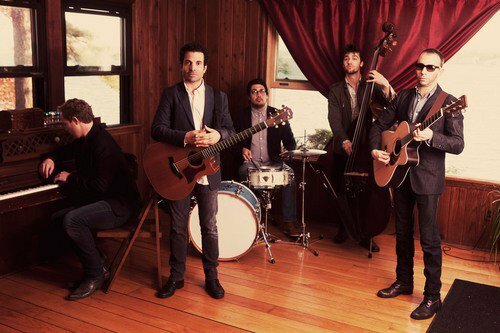 And if you’re in New York, see them live at the Knitting Factory on July 19. By the sound of Burlap to Cashmere‘s first single from their upcoming album, “Build A Wall”, these guys have some demons to vanquish and spirits to summon. Sabre-rattling with haunted vocals and a powerful tribal rhythm suggest a long life of hard-learned lessons. Old soul survivors. “Don’t Forget To Write” starts out dreamy and then time-travels, strongly reminiscent of the warmth and lyrical gravitas of Simon and Garfunkel, but with an interesting musical twist of Mediterranean and Greek rhythms, a touch of flamenco, and exotic melodies. They started in the mid-90s with cousins John Philippidis and Steven Delopoulos on guitars and vocals, joined by drummer Theodore Pagano. In 1995, they performed regularly at New York City’s The Bitter End, and in 1998, released “Anybody Out There? on A&M Records. A road rage incident in Brooklyn in 2005 left Philippidis badly beaten, requiring an extended hospital stay and putting a reunion in doubt, though ultimately providing the inspiration for the band to reunite. This is their first album as Burlap to Cashmere since 1998, produced by Mitchell Froom (Elvis Costello, Paul McCartney and Sheryl Crow), to be released July 19th on Jive Records.